300+ healthy, delicious, mouth-watering dessert & treat recipes created by Amy Layne. 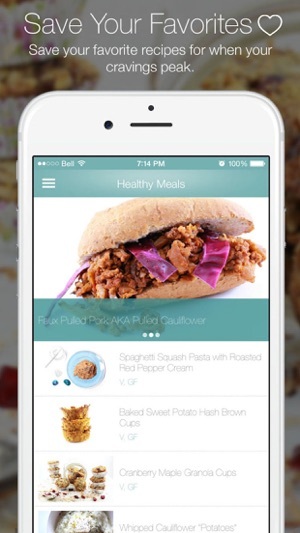 The best healthy recipes available online now in one awesome app! 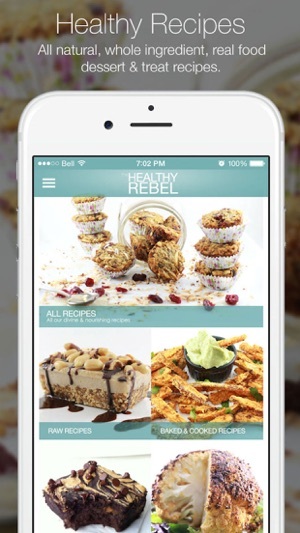 All of the recipes in the Healthy Rebel App are made with all-natural, whole food ingredients. There are a variety of raw, baked & cooked recipes all either vegetarian or vegan. 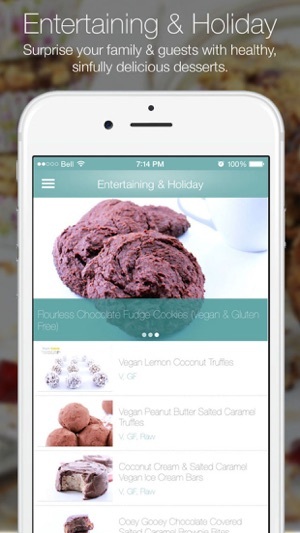 Our app is heavy on desserts & treats but also includes snacks, smoothies and unique meal ideas. 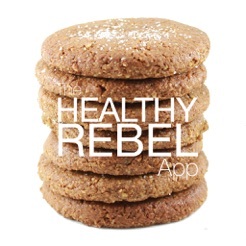 *Introducing The Healthy Rebel - The Healthy Rebel has a lot of meaning for us here at DAMY Health. On one level I, Amy Layne, am a “bad girl gone good”. Being a rebel runs in my blood and embodies who I am. The irony of that is I am extremely focused on health. When I set out on my journey to lose body fat, gain muscle, be happy, healthy and successful in life I knew out of the gate I would always be a rebel. Every diet book I read told me I couldn’t have desserts. I didn’t believe it and I wouldn’t accept it. So, I set out on a journey to create natural, whole ingredient, real food dessert and treat recipes that I could have once a week or to serve during occasions while still losing body fat. This is how I became The Healthy Rebel. I wanted cake and to fit in my skinny jeans. 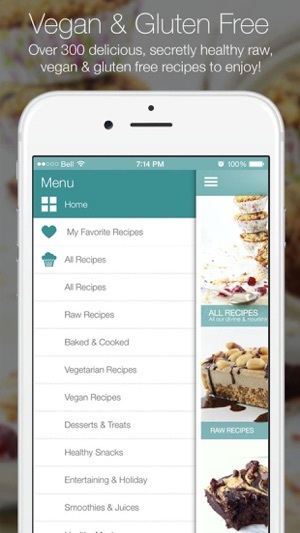 ***Creating healthy dupes of your favorite dessert and treat recipes is one of our passions and our app delivers over 300 unique recipes to satisfy any craving. Our mission here is to move away from the packaged and boxed foods and bring eating back to foods that come from the ground. Yes, you can enjoy desserts and treats when they are made from whole, real ingredients. Shock your family, shock yourself and enjoy the succulent flavors of real food again. Enjoy our recipes, enjoy vibrant health, join us in celebrating a healthy life and become your own Healthy Rebel. 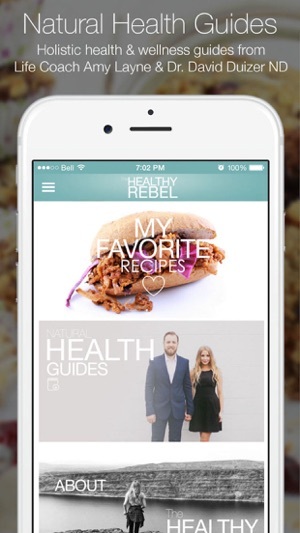 Help us spread the Healthy Rebel Movement by giving us a wonderful review in the App Store! *Over 300+ unique healthy dessert, treat, snack and meal recipes created by Amy Layne. *Separate categories for raw, vegan, vegetarian, desserts & treats, entertaining & holiday, healthy snacks, healthy meals, smoothies & juices, dips, sauces & spreads. *All recipes are gluten free. *Save your favourite recipes for quick viewing. *Estimated cooking time for each recipe. *Recipes are labeled if raw, vegan, vegetarian or gluten free. *App can be used on both on iPhone and iPad. Join our community of over 160,000+ members and growing! ***When you make our recipes please tag us @damyhealth and use #healthyrebel so we can see your awesome creations! ***Backend updates. Speed and service improvements. Crash fixes.